today I present you a bit of a literary wallpaper. Since school days I'm a huge fan of Shakespeare's plays, most of all Hamlet. It's such an intriguing plot, filled with the finest poetry. I bet I read it at least a dozen times and I really advise you to read it too, if you don't already have. One of my favorit scenes is the speach of Polonius to his son Laertes, in which he gives him counsel for his studies in france. I always found these advices well chosen, even on today's standard. 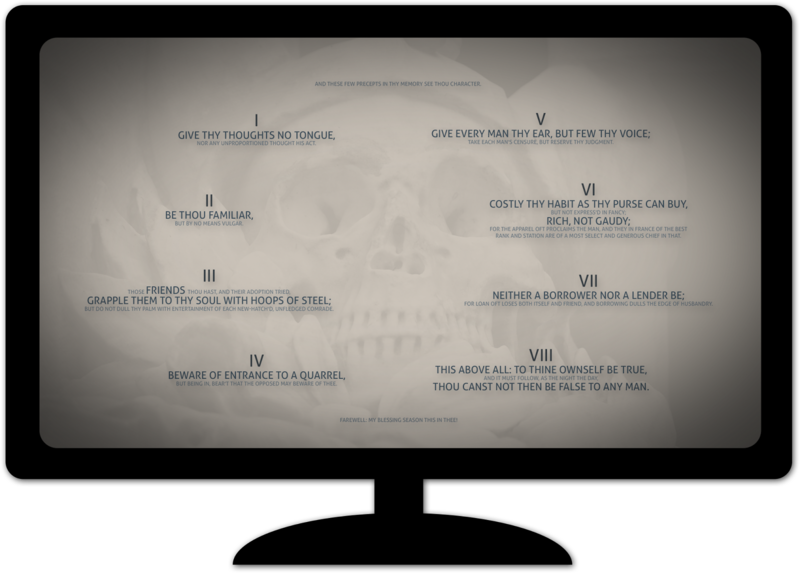 So here's the wallpaper with all of Polonius' helpfull hints. May they'll help you as well!